In a perfect world our pets wouldn’t have accidents and we wouldn’t need to worry about pet urine stains and odor removal from our carpets, rugs, or floors. Wishing is fine, but accidents do happen and that’s why we’re fully equipped to deal with any pet urine stains or odor removal services our Lexington Ky clients need. Pet urine; be it from a dog or a cat either one, does have some adverse effects when it comes to their owners health. Pet urine contains high amounts of ammonia which is an irritant to our lungs. When it comes to heavy concentrations this can lead to a burning sensation in the nose, throat, and end up affecting the entire respiratory tract. After prolonged exposure some people actually report becoming light headed from high concentrations of pet urine and the associated exposure to the ammonia smell. People with weak or compromised immune systems such as asthma or allergies may complain of migraines, and experience dizziness, or upset stomachs when exposed to levels of ammonia as low as (50ppm). Simply wiping it up with a paper towel is always a good idea. But this doesn’t remove it from carpet or cloth furniture where it’s been soaked in. Over time the area can become a feeding ground for bacteria and other microscopic life forms that will only grow when left unchecked. Children are most at risk for problems arising from ammonia inhalation and direct contact with contaminated carpets. Here at Centric Cleaning we have invested heavily in our equipment. When we arrive to tackle pet stain and odor removal we use our truck mounted equipment to do the job. First we chemically treat the areas where your pet has made the mess with our environmentally safe solutions, and let it dwell for a period of time. When this is completed we start our truck mounted carpet cleaning unit and let it go all the way up to as high as 220 degrees F, so that we have a temperature that will kill any harmful bacteria. Then we perform the extraction process. Our method injects extremely high temperature water into and around the area of the pet urine stain. Then we extract it with a powerful vacuum system. This process is repeated several times until the stain isn’t just diluted. It’s removed completely. Our high temp water injection and extraction method even pulls the offending urine from the pad below your carpet. And yes! 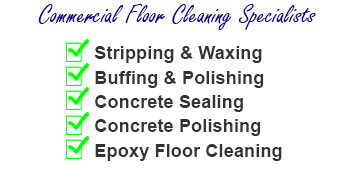 We can also remove pet stains from your furniture, baseboards, and tile floors. In fact, anywhere that your pet has left a urine stain and the accompanying odors we can remove it. 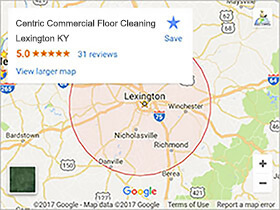 We also cover Frankfort, Georgetown, Nicholasville, Richmond, Versailles, Winchester, and Paris KY with our pet urine stain and odor removal services. Use our form below to contact us, or for faster service you can call our office and we’ll get you scheduled to have us out to clean and freshen any areas where sparky has had an accident.